Emily, Mallory, Leah, and Anya all won 1st place and qualified for the Regional Fair. Ranger Hanna teaches students how to determine a tree's age by counting its rings. Ranger Hanna shares examples of fur from WV wildlife. Mr. Bill Stankus from the Tennerton Lion's Club shared information about the American Flag with TES 5th graders. We will miss you Shawn!! Leah and her project on the Lost Colony at Roanoke. Ranger Hanna demonstrates water safety procedures with Vada. 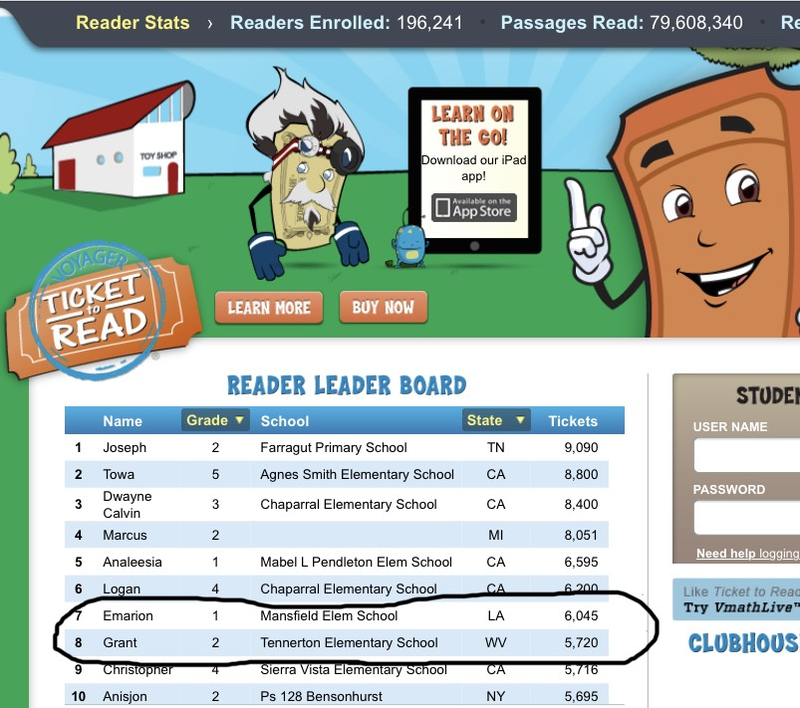 Check out where Grant is ranked nationally on the Ticket to Read program! This ranking is due to Grant working so diligently at home reading stories and building his ticket total. Great job Grant!! On March 20th, there will be no school for students in Upshur County. All staff will be participating in a mock emergency drill at BUMS. Please see the link for details on the event, especially if you live in the Tennerton area and would happen to pass by BUMS. 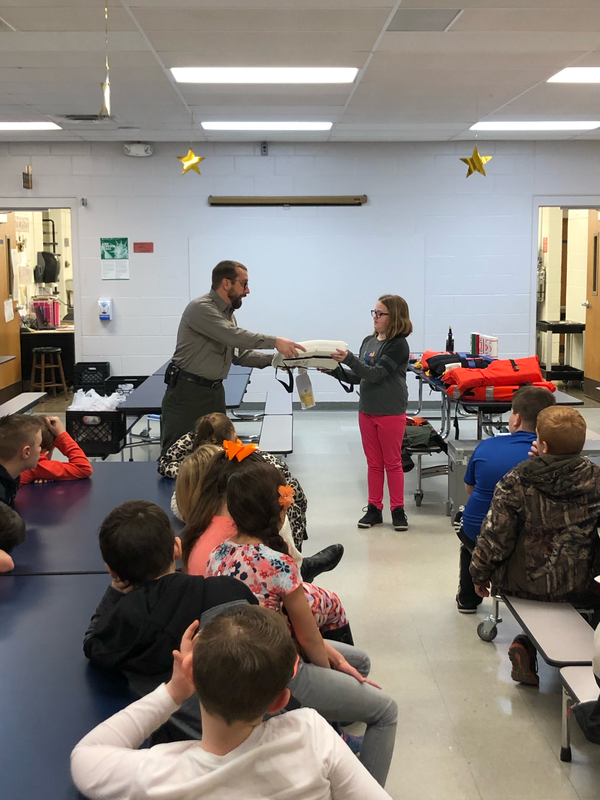 Fourth grade students at TES would like to thank Scott Hanna and the Stonewall Jackson Division of the US Army Corps of Engineers for allowing them to take part in the Junior Rangers Program. During the month of February students learned about the job of a Ranger, water safety, tree aging, and WV wildlife. Students from Upshur County Schools, grades 3-12, had the opportunity to participate in the 1st annual county Social Studies Fair. 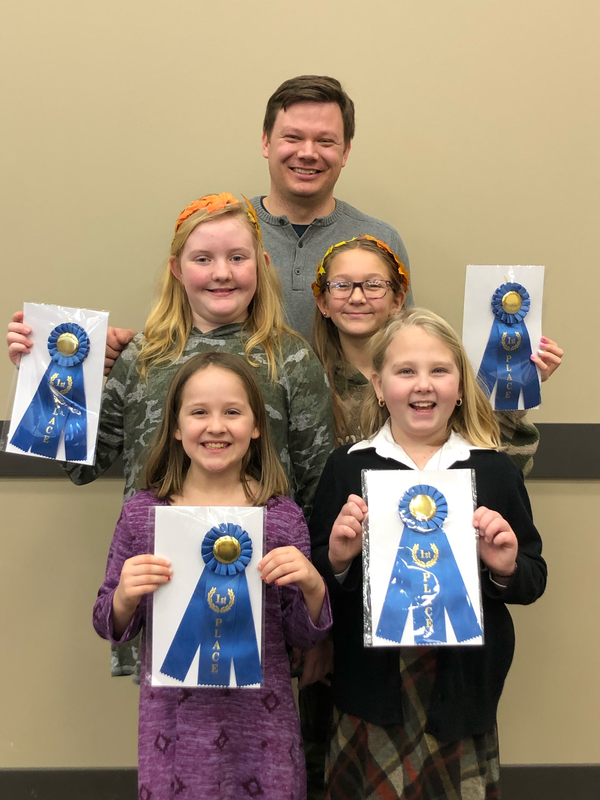 Congratulations to Leah, Anya, Emily and Mallory for placing 1st in their division and scoring 90+ points to qualify for the Regional Fair in Glenville. We are so proud of you girls! Please review the information on the link concerning the flu and flu season. Thank you.